Learn to make Crispy Aloo Palak Pakora Recipe | Spinach Potato Fritters Recipe with step-by-step video tutorial. Spinach Potato fritters make a great appetizer, snack, brunch or even breakfast. A hot cup of evening tea/coffee and these crispy fritters = Euphoria. 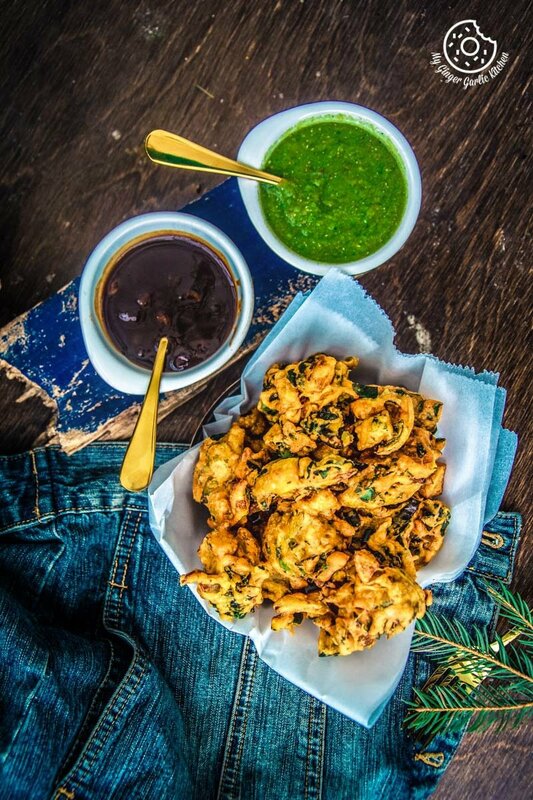 This combination of spicy pakoras along with some green chutney and tamarind chutney makes one of the most desired combos one can never get enough of. They are made with spinach, potatoes, besan, and spices and then fried till crispy golden. Pakora is the name for any kind of gram flour coated fritters. These dishes are quite popular in India. They are also known as pakoda, pakode, pakodi, pakod, bhajji or fakkura, bhajiya in different regions. 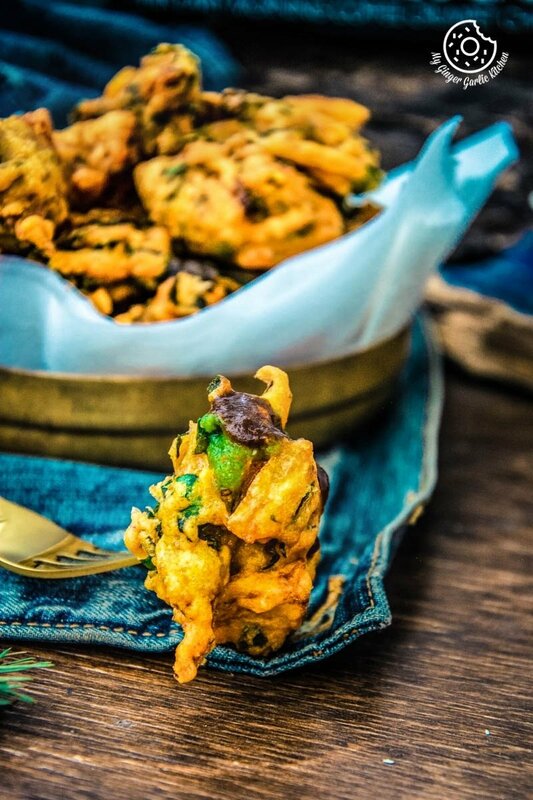 These crispy Aloo Palak Pakoras are effortless besan/chickpea/gram flour battered, deep fried seasoned Indian Fritters which are superfluous for the rainy and cold weather. 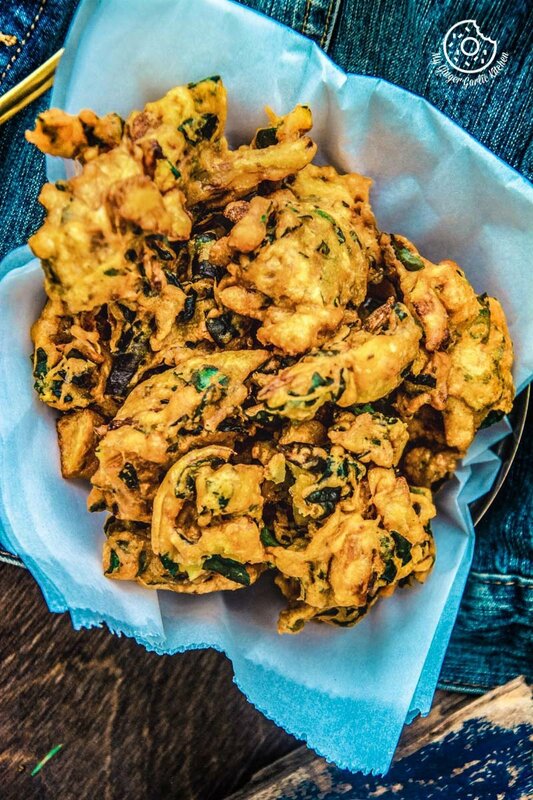 I said rainy and cold season because in the Northern part of India Pakoras are expressly made during the monsoon. 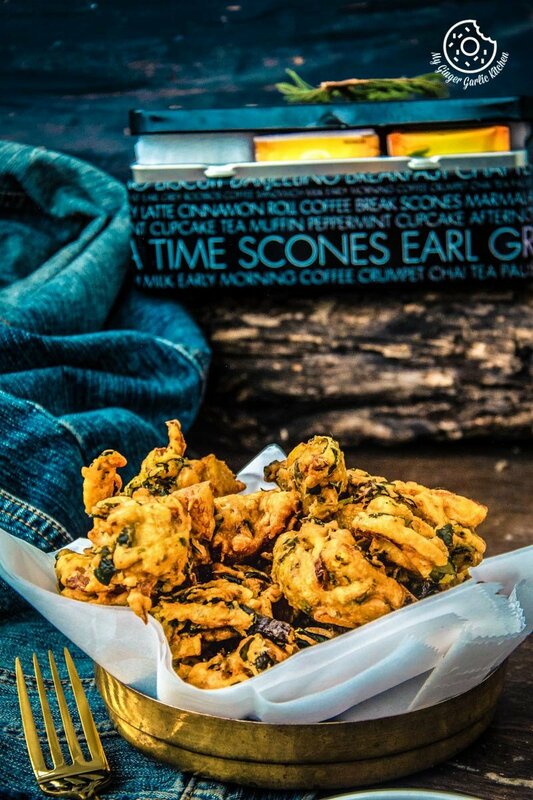 But If you ask me, I would tell you that these delectably crumbly pakoras are not only perfect for the monsoon or showery climate, but these can also be gulped at any time of the day throughout the whole year. Yes, like any other fritters you can have them anytime, but they are just godsent especially on a drizzly day. 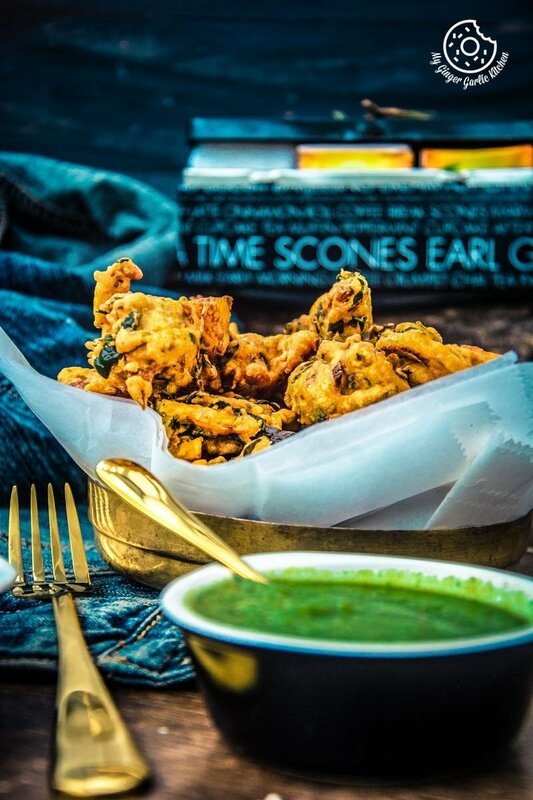 I believe that eating piping hot pakoras during monsoon gives a feeling or warmth and comfort and that’s the reason why pakoras are, in general, are consumed as a downpour snack in India. For Indian people, Chai and pakoras are a requisite when it’s pouring. I have written many times that I don’t eat fried food frequently, but I do adore pakoras. These crispy snacks are something I simply can’t say no to. 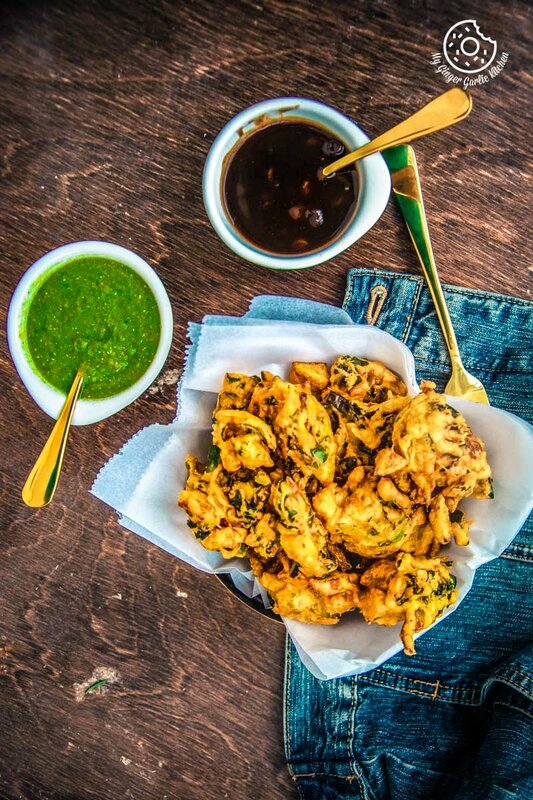 You can simply eat these pakoras without anything right after they are out of the frying pan. But they sure taste much yummier when served along with sweet and tangy tamarind chutney (Imli Ki Chutney), and spicy green chutney (Hare Dhaniye Ki Chutney). Aloo Palak Pakora Or Aloo palak ke pakode are usually served during indian weddings, parties, and get-togethers. These irresistible bites taste wonderful even when they are cold. That’s why they even make a wonderful snack for picnics. In this palak pakora, spinach is the other main ingredient. Spinach is so known for its nutrients, goodness and health benefits. These aloo palak pakoras are a really excellent way to incorporate greens and veggies into your snacks. Plus, these satisfying Spinach Potato Fritters are vegan, gluten-free, and vegetarian. You can serve them as a tea time snack, party appetizer, brunch or even as a breakfast. 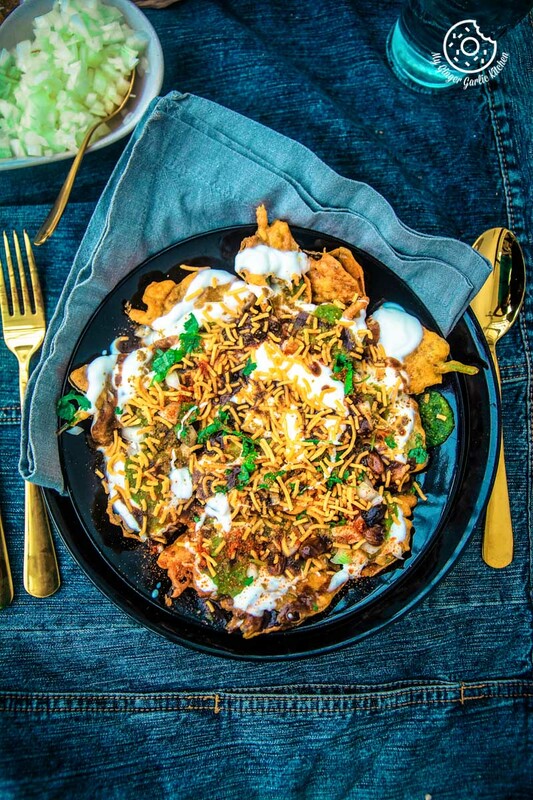 You may also like the ‘Palak Patta Chaat’ I have shared last week. Unlike my palak patta chaat, in this palak pakoda recipe, I have used roughly chopped spinach/palak. I have added 2 tbsp of rice flour to the batter because it provides a nice crunch and crisp. However, if you don’t want rice flour, you can completely omit this part. I have also added lemon juice to the batter. It helps in balancing the taste of the spices with flour. I have also added 1 tbsp of hot oil to the batter. It enhances the flavor and gives you the fluffiest pakoras. Perfect crisp outer layer and soft inner layer. I have added roughly chopped spinach to the batter, but you can also add finely chopped spinach leaves. I have also added sliced onions to the batter. They give these pakoras a nice texture and taste. Instead of slicing, you can also finely chop the onions. It takes little to no time to prepare the ingredients. Within about 15 minutes you will have a batch of crispy and appetizing golden pakoras ready to be eaten. Simply heat oil in a deep frying pan. Meanwhile, in a bowl, add roughly chopped spinach, add diced potatoes, finely sliced onion, green chilies, carom seeds, grated ginger, salt, chili powder, turmeric powder, asafetida, rice flour, chickpea flour and give it a nice mix. Add water little by little to make a thick batter. Now add lemon juice and hot oil and mix thoroughly. Scoop batter into hot oil. Deep fry. Done. So are you ready to enjoy the spicy and flavorful blend of spinach and potatoes? 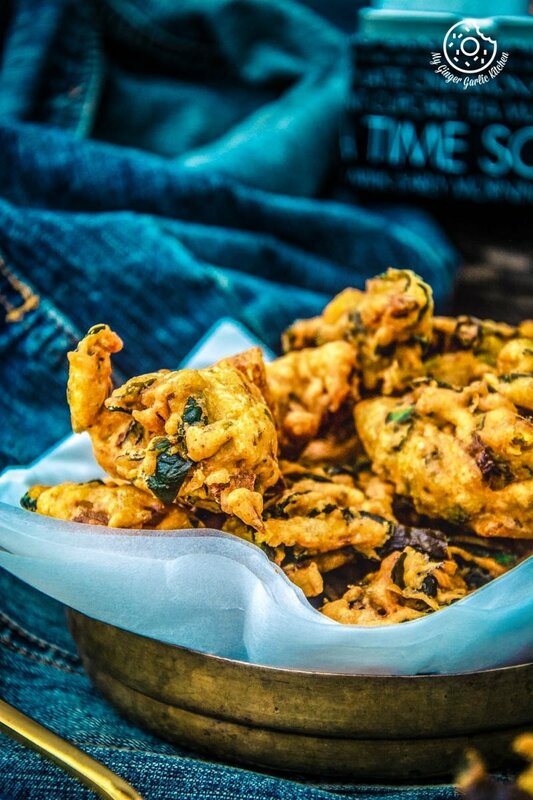 Try out these pakoras. 1. In a large mixing bowl, add the chopped spinach, sliced onions, diced potatoes, green chilies, grated ginger, carom seeds, salt, asafetida, red chili powder turmeric powder, rice flour, gram flour and mix well to combine. 2. Add water little by little and make a thick batter. 4. Add the lemon juice, hot oil and mix well. 1. Heat enough oil for deep frying in a heavy bottomed pan. Turn the heat to medium-high. 2. Carefully drop about 2 tbsp chickpea mixture into the hot oil. 3. Add only 5-6 pakoras at a time. 4. Use a ladle to turn them so that they cook all over. 5. Deep fry till they turn crisp and golden brown from all sides. 7. Repeat this process for the rest of the mixture. 8. 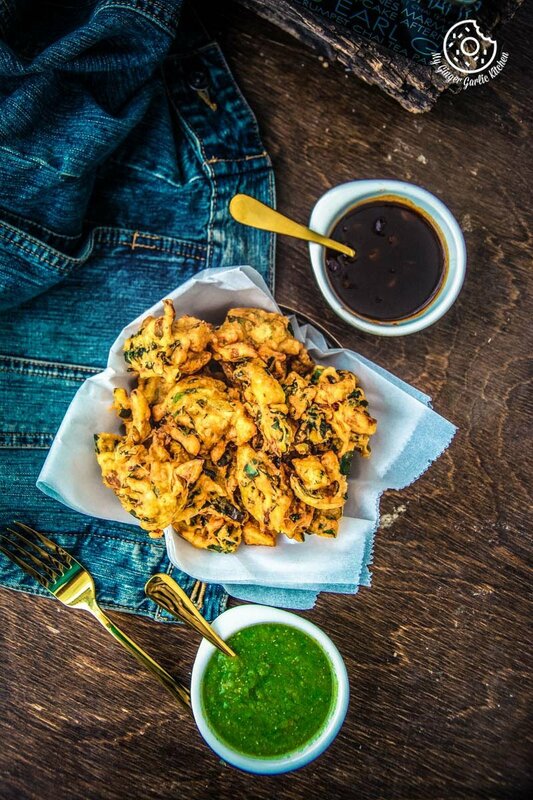 Serve these crispy, delicious pakoras as an evening snack over a hot cup of tea or coffee.